After being a market leader in gay-lifestyle TV for over a decade, we are taking an exciting next step: the launch of our interactive 'Gay Netflix' platform. We are proud and happy to announce that we have already reached our € 150.000,- funding target! We are truly amazed and humbled by all the support and interest. Our gratitude especially goes out to the more than one hundred participants that have made it all possible. So what happens now? We have entered the 'overfunding' round, where the new target is €200.000,-. The terms for both rounds are identical, so there will be no difference between investing in one round or the other. All excess funds will be used to further strengthen our proposition and increase the probability of success. We once again extend a great welcome to all new participants. We’ll keep you well informed on our progress and are looking forward to our collaboration. Issuing entity: OUTTV Media B.V. Conversion: Under certain circumstances you can convert to shares of OUTTV Media B.V.
You would be investing in an existing business that - with your help and that of the European Commission - will be making a big push from 2018 onward. The EU already supports our expansion by granting us a subsidy of € 300.000 which will considerably leverage your investment. Click on the picture below, or watch the video above to hear Marc Putman explain the opportunity! Ik heb vooral iets met Marc als ondernemer; hij heeft bewezen dat hij de afgelopen 10 jaar een succesvolle track record heeft opgebouwd. Daarom zou ik hem volgen met zijn nieuwe project. OUTtv heeft dit nieuwe tv-platform echt nodig en ik denk dat de toekomst deze richting op zal gaan, daar ben ik van overtuigd. Many operators in less emancipated countries are still reluctant to accept gay-lifestyle content, which is a huge barrier to entry new markets. New digital media technology is changing viewing behaviour. People decide where and when they watch TV content, instead of following the schedule of traditional TV channels. Viewers can easily switch from one provider to another, because of the increase of online video platforms. With our new service in Europe, we can cater to our target group directly, so we are no longer solely dependent on traditional distribution channels. OUTtv Pro gives our users control of their viewing schedule. It offers viewers the possibility to make their own decisions and create their own world of content. The new service is designed to keep viewers engaged by integrating TV-content with interactive functionalities, so they can connect, chat, date etc. with each other. We are Europe's largest, most recognized content brand in a target market that consists of 6.5% of the global population and has a total spendable income of $ 37 trillion. 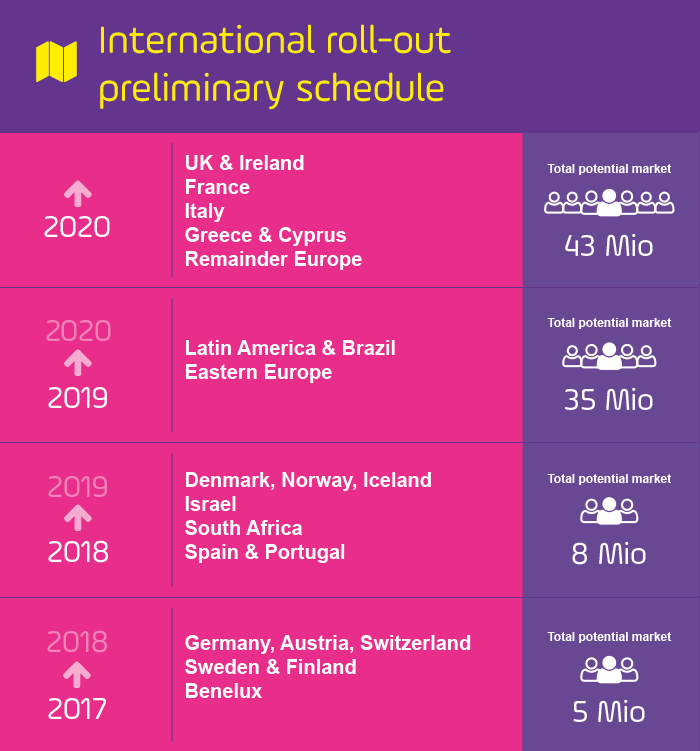 We can immediately start offering our service to a community of more than 40 million people in Europe and Latin America, because of the high scalability of our new OUTtv Pro proposition. 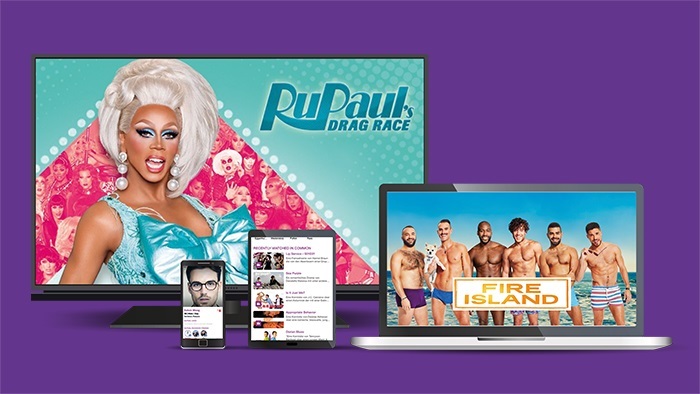 The first version of OUTtv Pro will be launched in the Netherlands. Followed by Belgium, Germany, Austria, Switzerland, Israel and Sweden in 2017/2018. For a detailed overview please visit the "Subscribers" tab in the full business case on the attachments page. We will offer a Business to Consumer model, with a monthly subscription. Since our launch in 2008 we have managed to become Europe's market leader in gay-lifestyle broadcasting and are the most recognized brand in our target market. 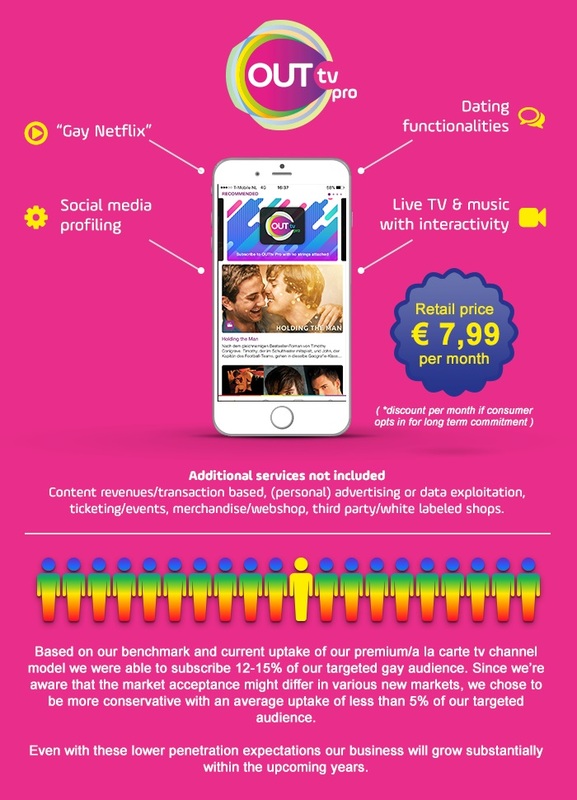 We are looking for crowdfunding investment of € 150.000 to add social interactivity to the OUTtv Pro TV platform and expand to new markets. We do so in the form of a convertible loan. Curious what a convertible loan is? Or how the OUTtv convertible loan works? Click on the picture underneath where Jeroen Bontje, CMO Symbid, explains how everything works. Despite our conservative estimation, the penetration rates fail to meet our expectations. This would cause a major disruption to our ability to grow and your return on investment, but would not necessarily have to be an existential threat to the company, because of the ongoing existing business and its simultaneous expansion. The costs growing faster than anticipated would also impede growth and substantially slow down the planned expansion, because we will not spend beyond our means. A big competitor with more financial means entering our market space could undercut our price and eat away at our subscriber base. Depending on our market share and business value at that point, we would either look for additional funding, or a larger party to acquire us. When our subscribers are less loyal than we anticipated and our churn rate turns out to be substantially higher, our marketing costs could increase to the point that it would endanger our growth. This is a real concern for us, therefore we have added many smart social features to keep subscribers interested to use the service daily. Lender issues a (subordinated) convertible loan to convert at a later stage to depository receipts to become a shareholder of the company. Lender expects an (exponential) growth of value of the company with the possibility to sell the depository receipts with a capital gain. However, in most situations such capital gains do take more than an additional five years after conversion to be realized. In exchange for the possibility of a high return in case of a scenario of exponential growth of the value of the company, there is a risk the investment will be lost in case the company is not doing well. The lender agrees that its claims against the borrower under the convertible loan agreement used on the Symbid platform rank below all other, non-subordinated, claims against the Lender as referred to in Section 3:277.2 Dutch Civil Code (‘BW’). Please be informed further on our general risk page about the risks as outlined above and find out more on our default reporting before you start investing. After being responsible for new business development within the cable and pay-tv business for years, I decided to explore the opportunity of launching our own gay-minded TV channel in 2004. The rise of niche TV channels made this dream possible in 2008, when I launched OUTtv in the Netherlands. We now run our business with multiple channels in various countries in Europe. Partnership Manager and Business Dev. Marketing and building brands runs through my veins. The past years I've been responsible at several large entertainments- and broadcasting companies for branding, rebranding and visualizing ideas for different target audiences. As a Marketing & Promotions Manager at OUTtv I am responsible for the marketing strategy and activities concerning OUTtv and the OUTtv Pro's platform. 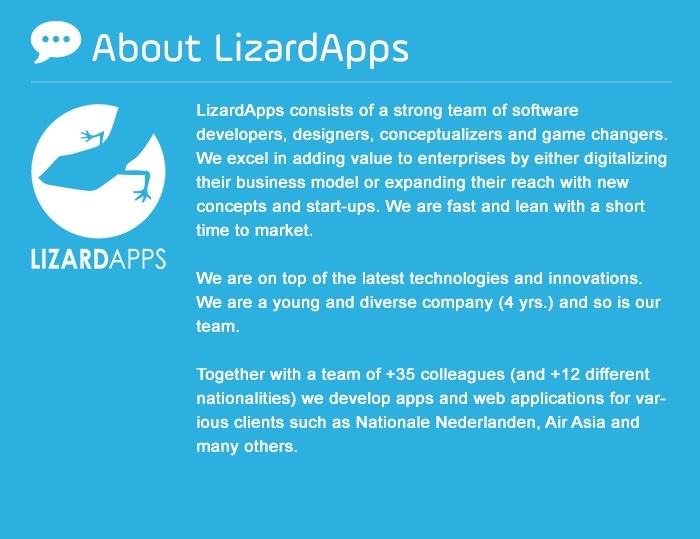 I bring a wide background in (social) media experience from working at WeTransfer, KLM, BNN-Vara and Televizier. I also insert a productional passion, thanks to producing events like Mysteryland, (Euro)Pride Amsterdam, Milkshake Festival, Ziggo Dome. As Social Media manager at OUTtv, I am responsible for activating the users, engaging the community to convert them into subscribers. In the past, I worked for Liberty Global/DMC where I was responsible for Discovery Channel and the History Channel. Now working at OUTtv where I am Traffic Manager for all OUTtv channels in the Netherlands, Belgium and Sweden. While at the same time working hard at the development of the OUTtv Pro platform. With a background in film production and film distribution, I have expanded my field to writing a cook book, developing my own documentary and television. At OUTtv I am responsible for the coordination of metadata for the new platform and program scheduling for OUTtv the Netherlands, Belgium and Sweden. During my professional education my passion for video-editing started. With 25 years of experience at different production houses in Amsterdam and Hilversum I am proud to be a part of the openminded world of OUTtv. In my role as a senior editor I can show my creative and organizational skills in this inspirational company. I am graduated at 'College of Audiovisual production' in Bergen op Zoom. During and after my studies I worked at different TV stations as Camera Operator & Video-Editor. I started working at OUTtv in 2015 as Camera-operator and Video-editor. Beside that I run his own company in Sound Reinforcement. 35 Years of experience in administration, HR and management support. For 4 years I am working for OUTtv as a finance manager. My role as treasurer includes support of the management team in a variety of operational decisions, budgeting, engaging in cost reduction analysis, and reviewing operational performance. I get inspired by helping companies strengthen their position in highly dynamic and competitive markets, and I am passionate about disruptive and new (digital) business strategies. I am an experienced consultant with an excellent track record of international strategy and business development achievements. Thanks to my work, companies stay innovative and maintain and strengthen their position. The issuing party is a B.V. incorporated under the laws of the Netherlands in Utrecht and registered with the chamber of commerce under 30236905 The address of the issuing entity is Hengeveldstraat 29, 3572KH, Utrecht. The website of the issuing entity is http://www.out.tv/nl/. The issuing entity’s board consist of Medinvestors B.V. (M.Putman), en OD Media B.V. (J.Pijnenburg & F. Ouwendijk). Currently OUTtv has 17 employed at the head-office of the company in Utrecht and in our local markets in Sweden, Belgium and Germany we do have local marketing experts working with us. Next to that around 12 free-lance and contractors are daily working on the subtitling and localisation of our tv-programming. 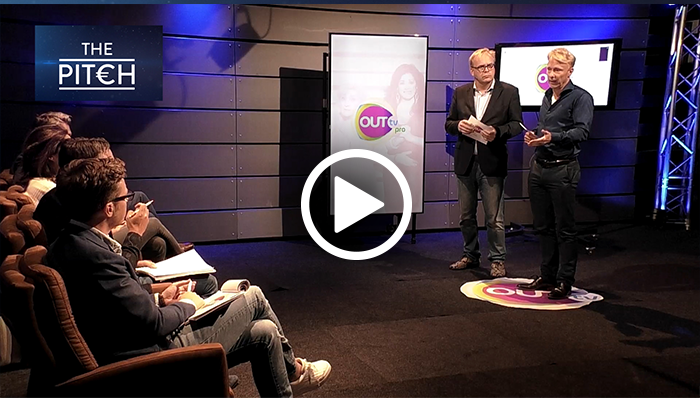 OUTtv Pro is an on-demand interactive TV platform aiming at the LGBTI* community in Europe. This TV platform is aimed at IP devices such as smart phones, tablets and PCs, so it is possible to use this service everywhere at any time. After opening the service users can search for content, scroll, leave messages, click on items, read articles, watch movies and share their reviews and/or favourite movie scenes with friends. The interactive character of OUTtv Pro brings a richer user experience than regular linear TV networks, or on-demand platforms such as Netflix. Instead of having a TV schedule determine your consumption, or only being able to select programs, OUTtv Pro offers you the possibility to view and interact with other users. OUTtv Pro offers a new way of consuming television. Its interactive nature allows rich user data profiles to emerge, so that users (after allowance by the user) can benefit from interesting recommendations by OUTtv Pro and other users. Based on our current business model our benchmark is based on a take-up rate of about 12-15% of the current LGBTI-audience; since we're aware that the market acceptance might be different in various new markets, we downsized this benchmark take-up rate to less than 5%; even with these lower penetration expectations our business will grow heavily within the upcoming five years. Revenues derived from transactions are not included in this business case and revenues from advertised based TV consumption or third parties are kept very low due to the uncertainties of these new revenues at this stage. OUTtv Pro is an online service. The potential to multiply revenues from with minimal incremental cost is considerable. Because the primary investment to build OUTtv Pro has been done, unlimited additional copies can be quickly cloned for almost no incremental cost. OUTtv Pro will be launched as a basic on-demand product to validate the model. After operating the platform with multiple customers paying the full price, the business model will be validated. In the next phase interactivity will be added and tested amongst focus groups. The production processes are highly automated, working with proven process technologies (ingestion, data flows etc. ), and minimum staff approaches. 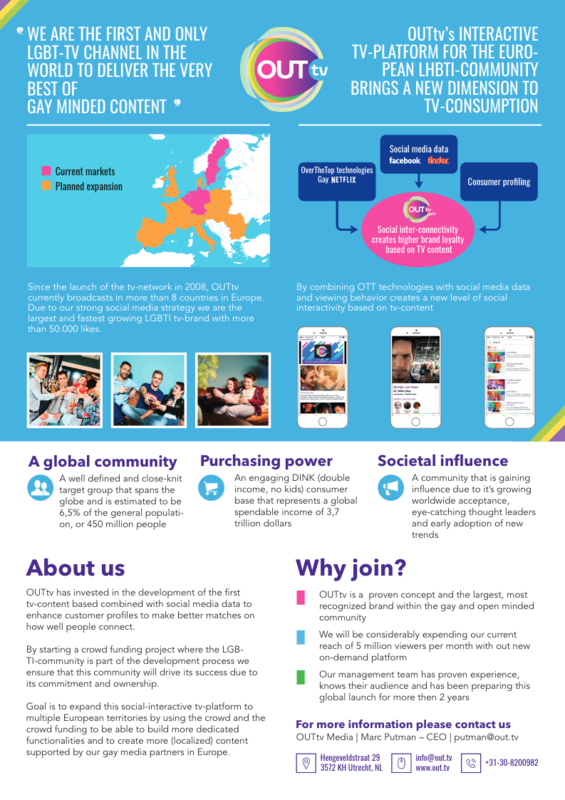 By using our existing cash flows and (international) partnerships we have been able to develop the new OUTtv PRO proposition and have made the preparations for its role out. During our 10-year life span numerous investments have been done in content and technology. With the development of our new "Gay Netflix" proposition the latter have risen. In 2016 the investment in technology and content totalled € 724.000 and has been paid for by operational cash-flows and reserves. Currently OUTtv Pro is an on-demand TV platform. Our aim is to add social connectivity and interactivity to the TV platform. 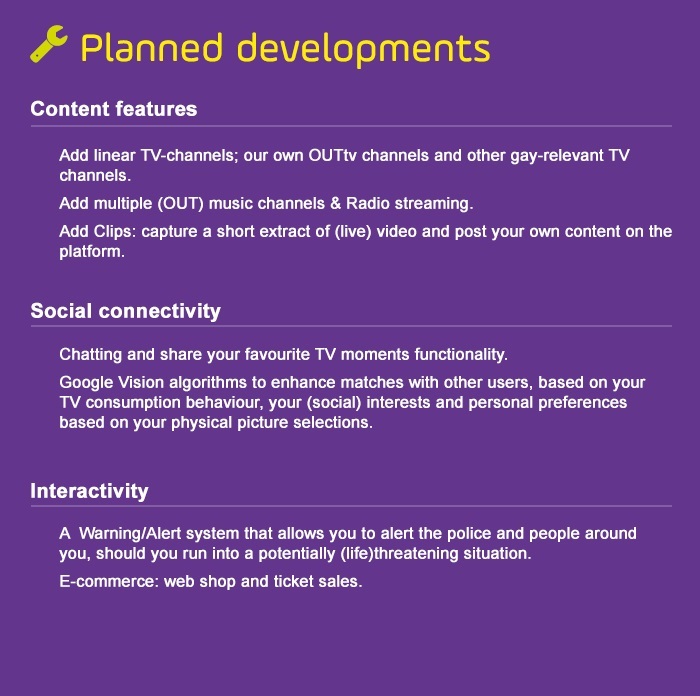 In conjunction with Lizard-Apps, we set up a roadmap for future development of OUTtv Pro. We target all LGBTI people in Europe (> 25 million viewers) as well as gay friendly audiences. Because most of the viewing content for Spain and Portugal, can also be used for the Latin American markets, we will also expand here. Our targeted audience have a high disposable income (double income, mostly no kids), are front runners about new technologies and services and are sufficiently addressable via our channels. The current size of subscribers /viewers is more than five million addressable viewers in the current footprint in Europe. Our goal is to reach more than 40 million viewers in Europe and Latin America in the upcoming seven years; and extend our market intensively. Offer entertainment: movies and docs, but only having very small library of LGBTI content. OUTtv GO- Canadian TV LGBTI channel, which we have been working with over the last 10 years. They launched their OUTtv GO service in autumn 2016. PLUS- is an American newcomer that will focus on films, TV shows and live events. This new subscription is based on a streaming service and will be available on iOS, Apple TV, Roku and Android. Offer entertainment and information, pictures and videoclips. But do not offer premium LGBTI content. Cannot scale up to a TV platform with premium content. Because OTT* rights are combined with (PAY) TV rights. 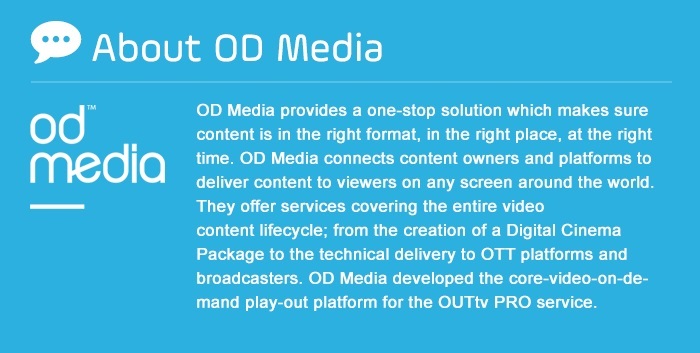 * OTT stands for “over-the-top”, the term used for the delivery of film and TV content via the internet. Offer a place to meet other LGBTI persons. Cannot scale up to a TV platform with premium content. Because OTT rights are combined with (PAY) TV rights. Depending on how competition is defined, the competitive landscape varies considerably. As for now competitors offer only small parts of the features and portfolio of OUTtv Pro. 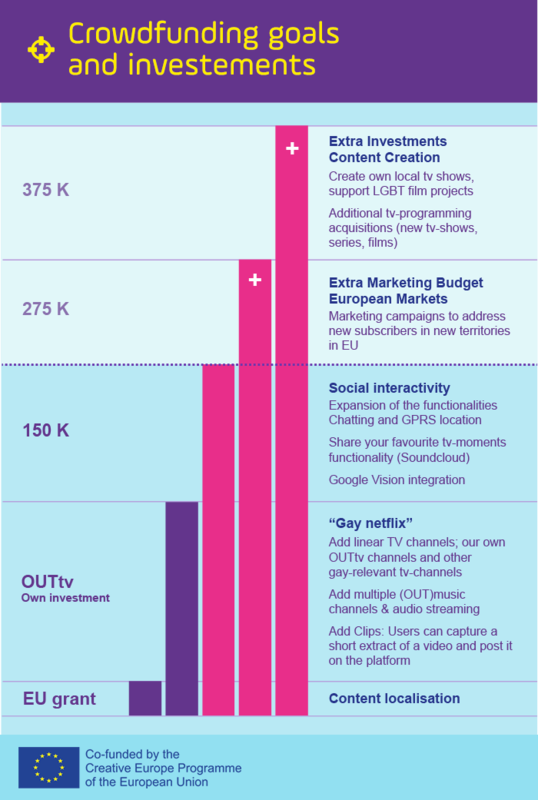 What makes OUTtv Pro unique is that it offers a variety of value adding elements in one place. Our extensive testing has shown that the LGBTI community does not want to constantly switch from one service to another, but prefers an integrated solution. By having movies, TV, eCommerce, news and a variety of social functionalities in one place, OUTtv Pro offers our community a unique experience. Via premium and extended tier subscriptions we receive our monthly income based on mid-term contracts (2-3 years). We recently announced the launch of our new interactive social TV platform and within 4 weeks more than 4500 new hot prospects signed up in the Benelux, 2500 hot prospects signed up in Germany within 2 weeks. Supportive reactions from our current LGBTI customers, followers, key personalities, influencers, and early adapters. Supportive reactions of the first group of users. To convert hot prospects, focus will be on specific channels. Most of the marketing/sales activities will be focused on direct sales that lead to sales success. Conversations and meet our hot prospects on all kinds of events to uncover a buyers, buying journey. Activities that lead to getting names, create online visitors, downloads, networking, speaking engagements, sponsored seminars, meeting with centers of influence and/or asking for introductions. The revenues for 2016 were € 1.332.000, which is based on our current TV business. For a thorough substantiation of this prognosis we invite you to review the full business case here. We have been successfully operating our TV business for over a decade and have gained a lot of knowledge about the market in general and our target group. All our prognoses in the underlying business case are conservative estimates based on historical references, or industry averages. For instance; based on our own experience with premium/a la carte subscriptions at operator tv-platforms our take-up rate has between 12%-15% of the gay-male audience. In our current calculations prognosis however, we have used very modest rates, which will grow from a 0,5% to max 5% gross penetration within the LGBTI community. This rate is subsequently lowered even more to reflect both technical and social addressability, shared household use and churn. Because we have been preparing this role-out for years, we can immediately expand to many designated countries. Combined with the scalable nature of the added proposition, we expect to double the number of markets we are operating in by the end of year. For 2019 the increase is estimated to be another two-thirds. For further information, we would like to refer you to the full business case that is enclosed. Here we have tried to fully disclose the underlying assumptions of our prognoses. During our 10-year life span numerous investments have been done in content and technology. With the development of our new "Gay Netflix" proposition the latter have risen. To give you an example for 2016 the investment in technology and content totalled € 724.000 and has been paid for by operational cash-flows and reserves. Over the next three years we will make a big push, for which external capitalization is required. Because most of our investment need will be fulfilled by a European grant, the rest of the investors will have great leverage on their investment. The purpose of this investment is to improve our proposition and grow our business. In the summary above you will find an infographic with the breakdown of the use of funds. The convertible loan which will be issued to investors has an initial 5- year term during which 7% interest on a yearly basis will be accrued. Upon certain conversion triggers the investors can convert their total amount due to share certificates of OUTTV Media B.V. with a pre-agreed discount percentage ranging from 15-30% on the applicable valuation for new investors. Interested in a tailor made offer? Please leave a message via the pop-up in the right bottom corner. Since the most recently published and audited Financial Statements of the issuing entity, no significant negative changes have occurred in the issuing entity’s prospects. There is no information about known trends, uncertainties, requirements, obligations or events that can reasonably be assumed to have indispensable consequences for the prospects of the issuing entity, for the current financial year. Since the most recently published and audited Financial Statements of the issuing entity, there has been no alteration of tenor in the financial or trading position of the issuing entity and the group to which the issuing entity belongs. As the Dutch Corporate Governance Code only applies to companies with registered offices in the Netherlands, whose shares or certificates of shares are admitted to the official listing of a government-approved regulated market (securities exchange), the issuing entity (unlisted) does not apply this code. There are no (potential) conflicts of interests between the obligations of the executive board members of the issuing entity on the one hand, and their own interests and / or other obligations on the other. There are no government interventions, court cases, or arbitrations, including such procedures that are pending or may be initiated, to the best of knowledge of the issuing entity, over a period of at least the previous 12 months that may have a significant impact, or have recently had, on the financial position or profitability of the issuing entity or the group to which the issuer belongs. All figures in this information memorandum are not audited, unless explicitly stated otherwise. Symbid's operations largely consist of the acceptance and disclosure of orders for retail, wealthy, and professional investors. Through its activities, Symbid supports the interaction between affected investors and progressive start-ups and growing companies in the SME in the Netherlands. This involves the financing of various types of projects that realize a positive impact the society with the help of an affected group of investors or ambassadors. Our platform provides a non-personalized, online recommendation to a broad audience, by allowing organizations to profile their project in a transparent and financially sound manner, and to professionally build and maintain the relationship with its financiers / investors. The foundation plays a role in managing the interests of the lenders in case of disasters, such as, if applicable, payment issues, securing collateral and supervising the handling of cash flows between borrowers and lenders.